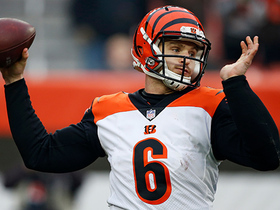 Published: June 14, 2011 at 05:17 p.m.
Cincinnati Bengals offensive tackle Andrew Whitworth said the team has "moved on" from quarterback Carson Palmer and that rookie quarterback Andy Dalton is "competitive" with a temperament similar to Drew Brees. Whitworth made his comments Tuesday on hosted by Steve Wyche and Bucky Brooks. 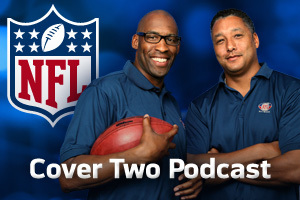 In their latest "Cover Two Podcast," Bucky Brooks and Steve Wyche talk with OT Andrew Whitworth about the possibility of a labor agreement and the Bengals' offense without Carson Palmer, while Saints S Darren Sharper shares his thoughts on the Miami Heat, his free-agency status and what it's like to play for defensive coordinator Gregg Williams. "(Palmer is) the kind of guy when he says something he means it," Whitworth said tuesday while appearing on NFL.com's Cover Two podcast. "I feel like people are taking him seriously and we're prepared. He made a decision he feels is best for him and his family and we've moved on." 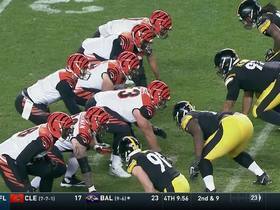 Palmer has threatened to retire if he's not traded, and Bengals owner Mike Brown said his former Pro Bowl quarterback won't be dealt. Brown and coach Marvin Lewis have said Palmer would be welcomed back but they're set to proceed without him. 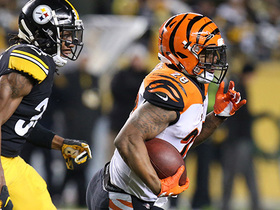 Other players, such as running back Cedric Benson and cornerback Adam Jones, have said if Palmer doesn't want to be with the team, Cincinnati is better off without him. 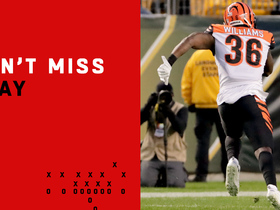 On Dalton, whom the Bengals selected with the third pick in the second round, Whitworth said, "We're just really excited to have him. We're happy that he's with us. He's got the personality, kind of like Drew Brees." Whitworth said that more than 50 players have shown up for the player-organized workouts the past two weeks and that's shown "maturity." To that point, he was asked about offensive injury-prone offensive tackle Andre Smith, who has been mostly ineffective since he was drafted sixth overall two years ago. "Talent is not his issue," Whitworth said. "His weight has been the only issue. He showed up at these workouts under weight, lighter than he's been since he's been here -- and that's with him having a boot on his foot." Smith had offseason surgery after breaking his left foot. "Although the lockout is not what a lot of players or fans or people that are fans of football wanted, in a lot of ways it helps. It's given a lot of guys a chance to prove how much this game means to them. It's given them a chance to see reality. 'If I didn't have football what would I be?' A lot of guys like Andre realize this is time for them to step up. Coach is not in your ear and you have to step up if you want to exist in this league."